Twitter Vs. Instagram: Round 1! In April 2002, Facebook acquired Instagram for nearly $1 billion in cash. Ever since then, things have been “rocky” between Twitter and Instagram. 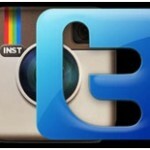 The first sign of trouble was the news that Instagram photos will no longer be viewable on a Twitter newsfeed. 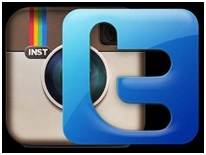 Instagram had cut all its ties to Twitter in December of 2012. The news was officially announced by Twitter saying that, “While tweeting links to Instagram photos is still possible, you can no longer view the photos on Twitter, as was previously the case.” Before the tech break-up, if a user shared an Instagram photo on Twitter, it showed up as an expanded tweet. But now it just appears as a link to the photo on Instagram’s website. It took Twitter only a day to recover from the bad news as the very next day they rolled out a brand new service to replace Instagram photos. Their new baby is a library of retro filters put together specially for Android and iPhone users. These 8 filters are the usual suspects we have come to witness in all mobile photo apps. There is one to adjust saturation, others for adjusting black and white and high contrast in a picture. Then there are the auto-adjust and cropping tools, along with a helpful grid view to let users see the results of each filter once it has been applied. Twitter has made sure that its users don’t miss Instagram by introducing eerily similar functionality without the use of additional third party apps. And just to make sure that its new picture sharing tools isn’t too intimidating, Twitter released a small video tutorial for it. All in a day’s work! In the announcement, Twitter’s senior designer asserted that it was important for the company to come up with a timely replacement of Instagram tools because photos are an important form of self-expression. And we all know Twitter is all about that! These new tools don’t promise to do anything different than the previous Instagram photo editing tools. But what the Twitter offering lacks in innovation it will make up in recognition. Twitter photo sharing options are used by millions of people worldwide and they, no doubt, will appreciate that the services didn’t suffer anything major. The new tools were introduced after a small break of only a day. The new Twitter app with its replacement from Instagram functionality is available at Google Play and the Apple App Store. These new photo sharing and editing tools on Twitter are brought to you courtesy of Aviary. The company handles editing projects for other partners including Flickr and TwitPic. Instagram amassed a following of more than 150 million users thank to its retro filter tool used to give pictures a washed-out, old world feel. Aviary has produced a similar filter for Twitter users as well. So maybe Twitter decided to leave the filter-making science to the experts. The good folk at Twitter reacted proactively, making sure that photo-editing and sharing services didn’t suffer long-term discontinuation. The Twitter-Instagram partnership had started only 18 months ago when users were allowed to share pictures across both platforms simultaneously. 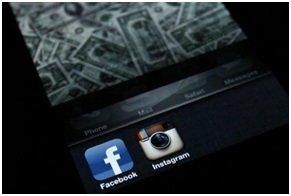 But Facebook’s takeover of Instagram has put a definite end and instead created a rivalry of sorts between the two. Instagram’s decision to stop working with Twitter has definitely created some thorny issues between the two tech companies. And the fact the Twitter’s solution to the problem is similar to Instagram’s service doesn’t sit too well with the latter. Instagram is fighting back. The company responded the same as Twitter launched that it is introducing a new filter for the picture editing enjoyment of its masses. This new filter is a black-and-white one and adds subtle purple/monochromatic tones along with translucent white glowing borders to a picture. It has been named Willow and is the one thing now missing from Twitter’s arsenal. The Instagram app for Android and iPhone has also been revamped. Along with a fresh look, a new filter and an improved camera roll selector for the iPhone 5 app, things seem promising for Instagram as well. Not to mention the backing of the super tech giant known as Facebook must also be good for the confidence of Instagram people. The Instagram app also has a FourSquare button on location pages that leads to the FourSquare application with complete details about the venue. Do we see another partnership brewing in the future? 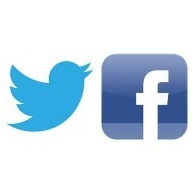 The fact remains that ever since Facebook acquired Instagram, its split with Twitter became inevitable. Industry pundits were counting days ever since for it to be announced. A statement from Aviary states that the company had been collaborating with Twitter for “months” to develop these filters. Twitter may have suffered a slight bit because of the loss of cross-server functionality, but both the companies are better off alone because of Facebook’s presence amongst them. Facebook too has been trying to mimic Twitter with its 2012 redesign and upgrades. People can get more regular updates of their friends’ whereabouts, actions and thoughts while famous public figures can allow fans and followers to communicate with them without “adding friends”. Sounds a lot like Twitter, doesn’t it? Twitter seems to be the underdog in this competition. Facebook, with its $57 billion market cap and the ability to acquire whatever little company it fancies, seems to be the clear winner here. But Twitter still has a few tricks up its entrepreneurial sleeves. Facebook may have dealt it a blow via Instagram, but the Twitter management is still not willing to stand down and accept any takeover offers. Whatever the end result may be for the two companies, one thing’s for certain; these rivalries end up doing a lot of good for the consumers. Apple’s war with Samsung may be a headache for the courts, but it means that you, the consumer, are enjoying a much better phone thanks to the rivalry. Similarly, the Microsoft and Apple debate lead to faster, cheaper systems for everyone. Let’s hope that innovation and technology come out the clear winners here as well.